sorry for not posting anything its been too long,anyways here's first post ,where we will decorate windows drive icons with cool icons. just explore you will enjoy. got icon tab and click specific drive and select clicking "--- "
then either select from these or use browse and make sure you download icons whatever you want to replace with. 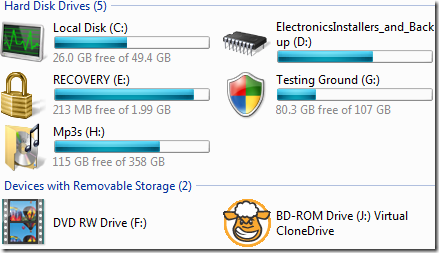 and voila now you have decorated windows drive icons.